I have been doing some non-broadcast related consulting work lately. It is actually sort of fun and pays well. One thing that I have become involved in is solar installations, or more precisely data communications from solar installations. It seems that a critical part of any solar installation are the production numbers. Owners/investors like to see a return on investment. They like to know that their system is working properly. Getting hard data on electricity production is an important part of the customer service aspect for a solar installation company. Being able to remotely monitor the system and be alerted of any faults or failures helps keep those production numbers where they should be. It turns out that those fuel storage tank facilities use a lot of electricity. Not just for the fuel transfer pumps, some of their product is heavy oil; #4, #6, Resid or bunker oil is very thick (or viscus). Tanks, pipes and pumps for those distillates must be heated to certain temperatures in order to move them. That is all done with electric resistance heating. There is a very good book about oil and how it is extracted, transported, refined and used called Oil 101 by Morgan Downey. It is an eye opening read, to be sure. Looking at the tops of those tanks; there is a lot of unused area. It is a novel idea to use that area to generate power for the tank farm. The thin film solar panels come in rolls. They have adhesive backing and are peel and stick. 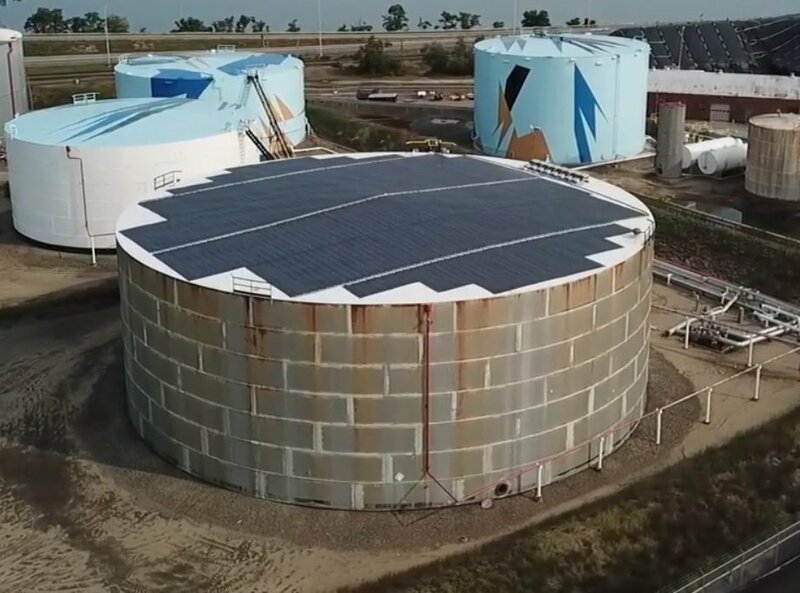 The nice part about this type of installation; the steel tanks help keep the panels slightly cooler, which boosts their production on hot summer days. 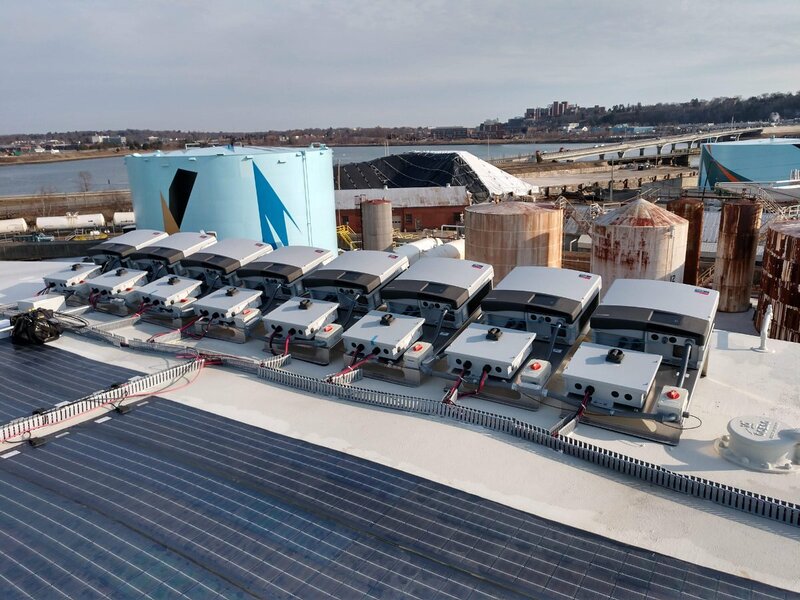 In this installation, each inverter reports to a web site that logs all of the output data, as well area temperature and percentage of sun light. This system helps the installation company and tank owner know if there are any problems with the array. In order for that to work, the LAN needs to be set up and a communication device used to connect to the public network. All in all, that was a fun project. By the way, if anyone needs a solar system installed, I know a company that can do it.